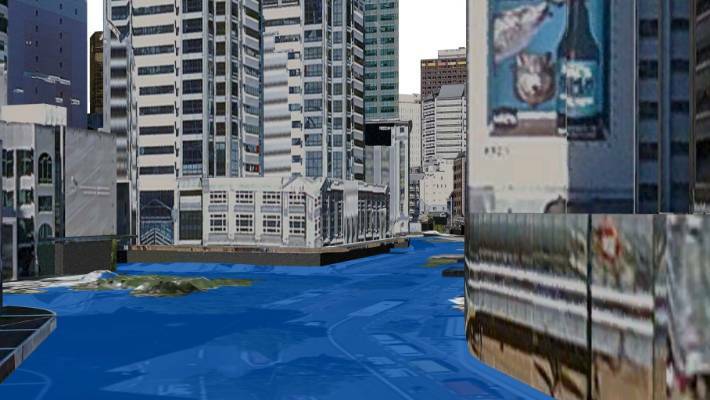 It's hard to imagine what sea level rise will do to the capital, but now you don't have to. From water meters to congestion charges, few political hot potatoes have been left untouched by a Wellington City Council plan that aims to slash the city's carbon emissions to zero in 30 years. 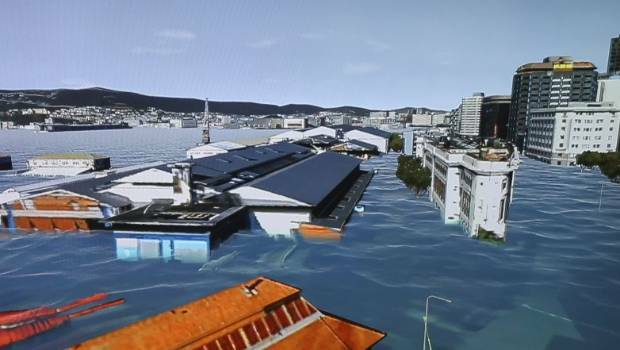 The capital hopes to play its part in preventing a 1.4-metre sea level rise that computer models show could decimate Wellington's central city, an area that drives 77 per cent of the city's economy. Although that the sea is not predicted to rise that high until 2140, the most recent Intergovernmental Panel for Climate Change report has given the world 11 years to get serious about sorting emission before it is too late to act. Wellington city currently produces just under 1.1 million tonnes of carbon every year, after forrests have absorbed some what is generated. 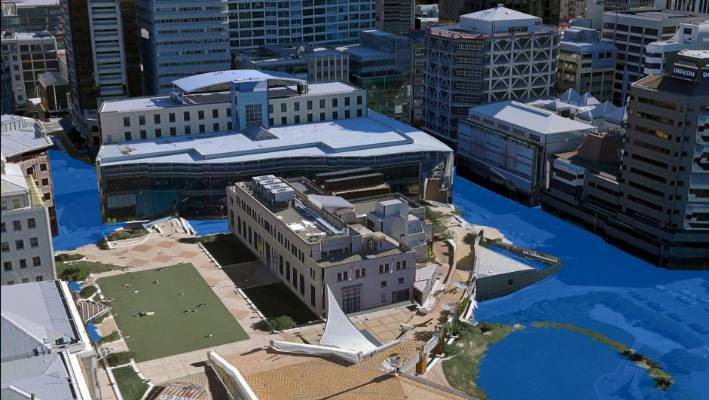 The council's new plan, entitled First to Zero: Wellington's Blueprint for a Zero Carbon Capital, will replace its earlier plan that has reduced the city's emissions by just over 1 per cent a year since 2006. 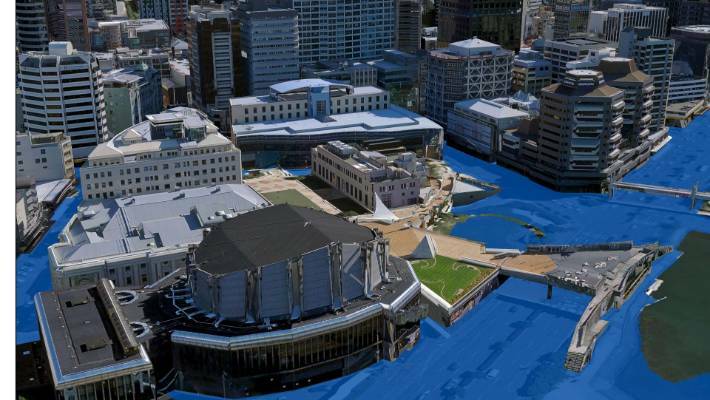 The 1.4m figure for sea level rise that would see much of Wellington's CBD flooded is based on Ministry for the Environment's guidance. 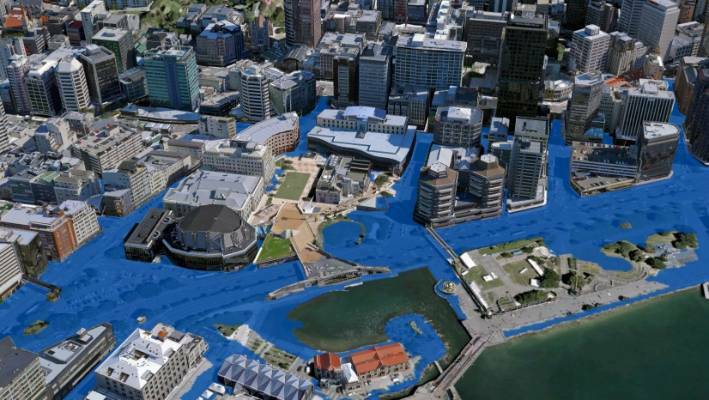 10 per cent of the city's property values could be wiped out by a sea level rise. Under those projections $7bn in property would be destroyed and 10 per cent of the city's property values would be wiped out. The property owners behind those buildings currently pay 25 per cent of the city's rates, according to the report. "Not only will large funding streams be needed to face the challenges posed by climate change, but the funding available to do so will be compromised." A previous carbon plan managed to see the city reduce its emissions by just over one per cent a year. Tom Pettit, the council's sustainability manager, said the city's emissions largely came from three things: transport, housing and food. Transport – airplane flights included – accounts for up to 60 per cent of the city's emissions. The report suggests vehicle congestion charges as a way of reducing the number of people driving into the city. Pettit said someone replacing their petrol car with an electric vehicle could reduce their emissions by up to 80 per cent. "On a day-to-day basis, the best thing you could do is not drive a petrol vehicle and use a different way to get around." But reducing the number of flights in and out of the city has been dismissed in the report, even though aviation is responsible for 20 per cent of the city's carbon dioxide output, Pettit said. "We could go down the demand reduction route, but the thing is as a capital city, as a city that's really reliant on business, as a city with many international residents, is that the right way to go reducing our connections to the world?" The three categories of housing, transport and food are interlinked. Housing more people in the central city, for example, could reduce the need for many to use cars. 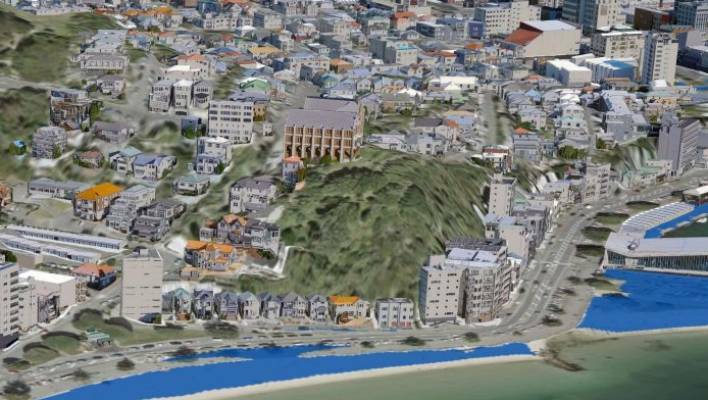 Properties which pay a large amount in rates could be affected by a sea level rise. Rules around character homes in the central suburbs – the lowest carbon areas of the city to live in – are said to "impede prospects for for welcoming more neighbours". The yet-to-be-created Urban Development Authority is suggested as a way of fast-tracking development in persistently low-density central city areas like Adelaide Rd. The zero carbon plan doesn't spare the city council itself either, advocating change at the council's landfills, which account for 80 per cent of the council's emissions. Water meters are also suggested as a way of reducing the council's carbon dioxide output, because half of the council's electricity emissions comes from running its water infrastructure. Pettit said the understanding of climate change amongst the public had changed dramatically on the back of "tangible" events like the Port Hills fires and the increasing frequency of storms. Petit says there has been a major shift in how urgent people perceive the issue of climate change. "Something's happened in the last three years, there's been a complete change in the way people perceive this issue," he said. "The scientific certainty has grown that something serious is going to happen." Members of the public will have until May 10 to give their feedback and ideas on the plan. Wellington City's emissions largely come from three things: housing, transport and food.